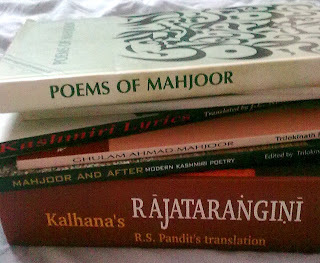 Hit the Delhi book fair. The loot. - by T.N. Kaul. 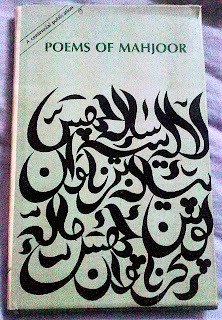 First published in 1988.
cover design by G.R. 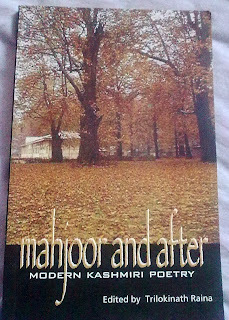 Santosh incorporating a Mahjoor couplet. 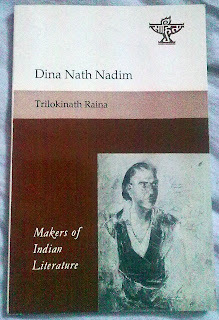 Ranjit Pandit's translation with a foreword to the book by Pandit Nehru. 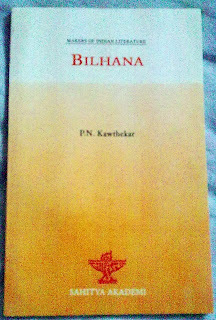 First published by 1935.
translated by J.L. Kaul. First published in 1945. Uff, tried posting a comment earlier too. Lost my password. 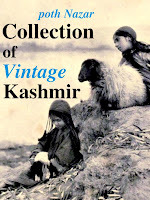 Anyway, I envy you your collection of books on Kashmir. 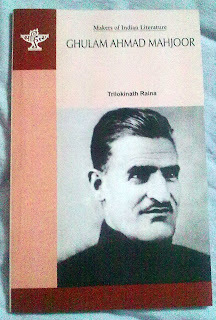 Do share what the Rajtaringi is like, once you have read it yourself. Have read so much about this book. And very Happy Shivratri, Vinayak. Herat Mubarak to you too, Minakshi! I posted this to get that 'neighbor's envy owner's pride' kind of feeling :). I will try to post stuff from these books sometime soon. I have already found lot of interesting stuff in them. 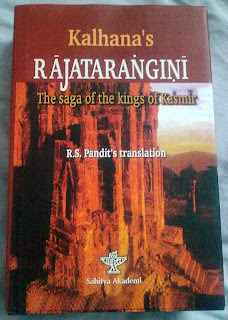 I have read Rajtaringi in parts thanks to a copy that an uncle owns (he has the voluminous editions by M A Stein) and also thanks to google books, but when i saw the price tag of Rs 200 on this edition i just grabbed it. 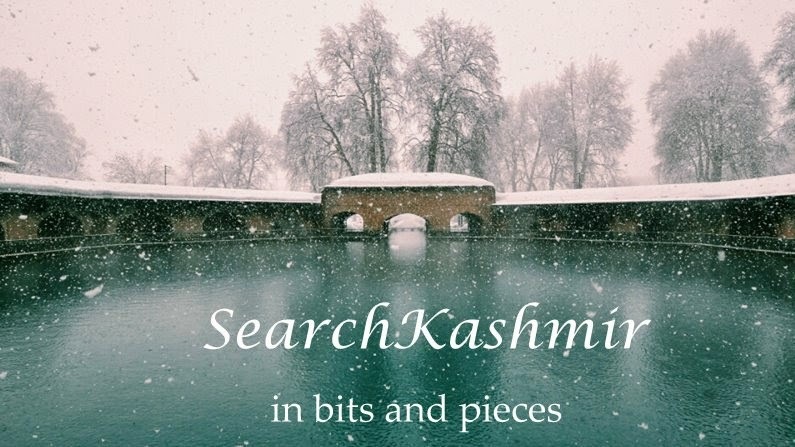 How do i get hold of kashmiri Lyrics. Please suggest. 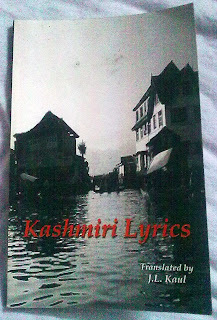 I have seen the kashmiri lyrics. You made my day. That was yesterday!!! I have been looking for the lyrics and the translation of poetry by Swoch Kral. Did not have much success yet. Can you help. Thanks for your patience and support.